So you are at the gym, in the middle of an intense workout and all of a sudden you get this pulsating headache out of nowhere. The fighter in you says you should ignore it and keep powering through. But the pain is stubborn and doesn’t relent. What’s going on? Sounds like you’re suffering from an exertion headache—a type of head pain triggered by exercise. 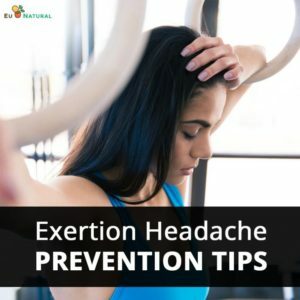 Exertion headaches aren’t as well known as migraines or stress headaches. But they can be just as painful, lasting from five minutes to 48 hours and putting a dent in your workout or the rest of your day. Exertion headaches tend to happen when you’re sweating your hardest; they’re caused by increased pressure on the blood vessels in the brain. They generally occur during strenuous exercise like biking, running, or weightlifting, according to the American Migraine Foundation. Here’s what doctors say you should do if you develop one of these skull throbbers, plus how to keep them from coming back. Get your blood vessels opened up before your intense workout with a solid warm-up that gets your heart pumping. But what if you know you’re hydrated and well fueled for your workouts? Intense or prolonged cardio or weightlifting workouts could be to blame. 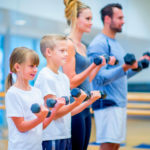 Though the exact reason for it is debatable, the Mayo Clinic suggests exertion headaches may develop when strenuous exercise expands blood vessels in the brain over a prolonged period, leading to the pounding pain you feel afterward — which could last for as little as five minutes on up to 48 hours, according to AMF. Sometimes exertion headaches happen no matter how many precautions you take. 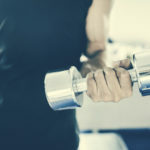 In those instances, you can opt to take an over-the-counter pain reliever, like ibuprofen (Advil, Motrin) or naproxen (Aleve, Naprosyn) 30 minutes before your exercise sessions, to reduce inflammation and (hopefully) the tension. Another option is to down a drink with plenty of electrolytes, like coconut water, as soon as the symptoms start. And if the pain is really bad, cut your workout short and rest until it subsides. Headaches during or after exercise can put a real damper on your routine, but recognizing the triggers — and preventing them — can get you back on the workout wagon, headache free.